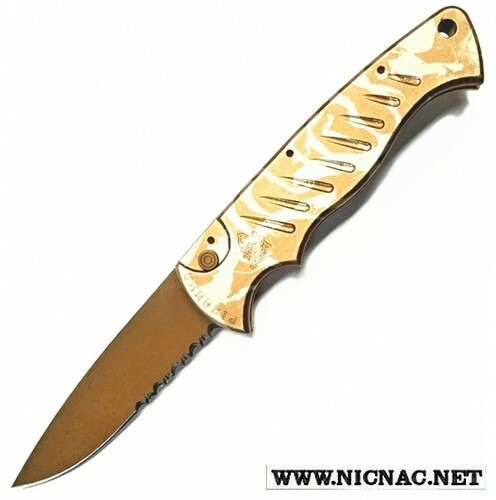 Piranha Amazon Automatic Knife comes with a grooved anodized 6061 T6 aluminum handle for a great grip. This knife weighs in at only 2.6 ounces for a great every day carry and comes with a pocket clip. The blade is 3.5 inches and overall open length is 7.9 inches. The Amazon side opening automatic knife had a great style for a great grip that molds perfect to your hand.